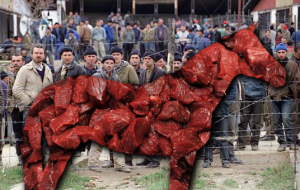 (Columbia, SC) – Several hundred horses are currently being slaughtered and processed to create the delicious potted meat product that will inevitably be feeding thousands of FEMA camp occupants for the duration of their residency at the government run compounds. “We are basically killing two birds with one stone here”, explained Michael Getman, executive coordinator of the plant which is fueled by a generous government subsidy to process the animals into food. In an exclusive interview Michael explained the reasoning behind the program and how it will be beneficial to the inhabitants of the recently constructed FEMA dwellings. The US Government recently finished renovations on the Black Hills National Forest American citizen internment camp in South Dakota. 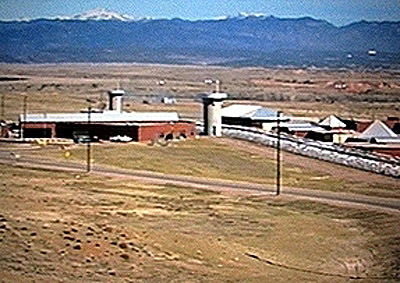 This refurbished World War II prison location near Rapid City, SD is built on several acres of lush forestry, allowing for a picturesque view of the countryside. The Obama administration is expected to start filling the camp’s vacancy status by the end of November. Individuals who are found to oppose particular Government regulations. Peace activists. Tea Party members. Suspects with potential links to terrorism. They will all find a new home behind the barbwire gates of Camp Black Hill.